These are the days when we will frequently hear the carol O Come, All Ye Faithful, a translation of the Latin hymn Adeste, fideles. According to the Benedictine monk Dom John Stéphan there are indications that John Francis Wade composed both the Latin lyrics and the music in 1743. Central to the hymn is the invitation “come, all ye faithful… to Bethlehem” with a very profound purpose: “come, let us adore Him”. This is supposed to be the core and raison d’être of Christmas festivities. However, it is high time that we start to distinguish ‘what ought to be’ from ‘what is’. Unless we do this we run the risk of turning the core of our faith into an ideology. Many people argue, like Jo in Louisa May Alcott’s novel Little Women, that “Christmas won’t be Christmas without any presents”. 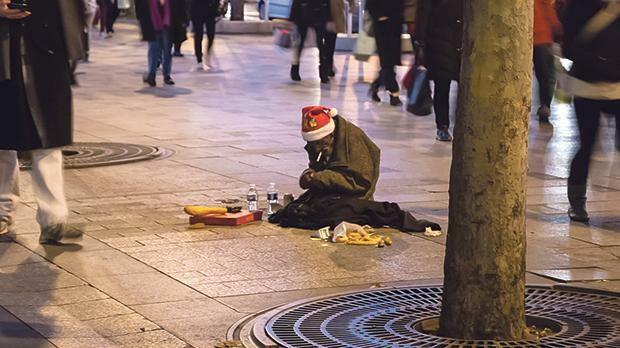 It’s good to keep in mind that while many endure the stress and expense of preparing for Christmas, a much greater number are enduring the stress of hunger and the atrocities of war. Does this mean that we are to put aside the joy of Christmas? Of course not! My position is to keep in mind that the central message is “peace on earth to people of good will”, a peace which is the fruit of the kenosis of God – the self-emptying of God in the incarnation of His son Jesus. What are we Christians doing during Advent and on Christmas Day that is different from what non-believers do? According to an internet poll run by Debate.org, 72 per cent said that Christmas has been destroyed by consumerism; only 28 per cent do not think so. Companies have succeeded in substituting joy, of its natural, spiritual reality, with a monetary – that is, materialistic – opportunity by creating a shopping season stretching for almost two months starting on Black Friday until the January sales. The very simple Christmas spirit has been turned into mere profits. As Christians we ought not to leave the agenda of Christmas in the hands of a consumerism-led capitalist philosophy of life. Christmas ought to provide us with an occasion to return to basics: away from profits and back to prophets, the greatest of whom – John the Baptist – preached a change of heart (metanoia). Oh come all ye faithful, joyful and triumphant, and witness one of the greatest paradoxes of our faith: Our God born in a manger. As the angels woke the shepherds from their sleep, we ought to let this mystery ofthe Immanuel wake us up from our slumber. We must wake from the slumber of our comfort zone and as Pope Francis says, “go out and share your testimony, go out and interact with your brothers, go out and share, go out and ask. Become the Word in body as well as spirit”. We must wake up from a Christianity modelled on customs and ‘the transitions of our fathers’ to model our life on that of the Church of the Acts of the Apostles. We must leave our parochialism – which the Italians justifiably call “campanilismo” – behind us and wake up to a world that is our parish.